John Maynard Keynes and F.A. Hayek were both influential men of their time. 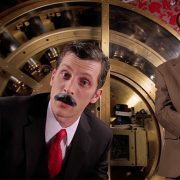 But, as discussed in the first two parts of this series, they both had very different views on how the economy should operate. 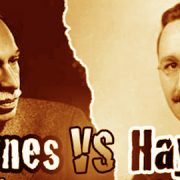 In the previous installment of this series, we discussed how both Hayek and Keynes differed on their views regarding planned economies and government intervention. As we have already seen in my liveblogging of Hayek’s The Road to Serfdom, Hayek was a staunch supporter of individualism and stood in opposition to planned economies because he felt they would result in less freedom for the individual. For Keynes, government intervention was the only way to achieve desired ends for the national economy as a whole, even if this meant individual rights were squashed along the way. But the differences between the two economists do not end there. 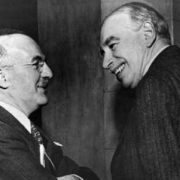 One of the most contentious issues between Hayek and Keynes was the matter of spending as a means of instituting economic prosperity. Most rational human beings understand that if they are having financial problems, they cannot spend their way to prosperity. And while individuals seem to grasp this point quickly when their own personal money is at stake, many economists and state planners still have not learned this lesson. And unfortunately, Keynes is one of the main reasons this “spend your way to prosperity” myth still exists today. Keynes viewed spending as one of the primary driving forces of the economy. In fact for Keynes, when countries are experiencing economic recessions, government spending holds the answer to the problem. Keynes viewed the free market as a beast that needed taming, frequently referring to the “animal spirit” of the marketplace, so it is no wonder he did not trust in the market process. Keynes believed that when the economy was doing well, which in his mind meant unemployment rates were low and and growth continued steadily, the state should rein in spending. But when the national economy was not doing so hot, he believed that both spending and deficits should be increased. Keynes did not trust in the free markets ability to self-regulate and make the proper adjustments needed in order to correct itself in times of economic recessions or depressions. Instead, he believed that by increasing spending, the government could encourage job growth and give the economy the jolt it needed to get going again. It is for this reason that today we see many members of Congress call for an increase in government programs even in the midst of economic uncertainty. Rather than trust the “do nothing” approach and let the business cycle run its course, these bureaucrats want a proactive approach that also aligns with their own agenda, which often consists of creating new agencies or programs that further increase our national deficit. But while spending may seem like the simple solution to so many of these subscribers of the Keynesian school of economic thought, classical liberalism offers another side to this spending story. If a store owner begins his day by discovering that his storefront window had been smashed by a hooligan with a rock overnight, few people would see this as an opportunity for economic growth. But to the Keynesian, since the business owner has to replace his window, he is stimulating the economy by having to purchase new glass and have it installed. But as both Hayek and Bastiat have explained, this does not result in economic stimulation. Since the business-owner now has to pay for the glass twice, once during the initial installation and again to replace the broken glass, he has doubled his losses. If the store owner did not have to spend his precious resources on replacing the window, imagine where the money could have been spent. It could have gone to another sector, who in turn, spends the profits on another sector, and so on and so forth. This is true economic stimulation. Yet, the broken window fallacy remains among the most popular economic myths influencing governments today. It is for this reason that after a natural disaster you see Keynesian talking heads praising massive destruction for the economic stimulation that will result from having to rebuild. This is the very same line of thinking that fueled Keynes and it is why he believed deficit spending would benefit the national economy. And temporarily, this might be true our own national deficit situation shows that this type of stimulation does not work. The glazier now tasked with having to repair the storefront window may see a temporary boom, but it does not account for what Bastiat called the “unseen.” In this scenario, this would be the sector that is missing our on the store owner’s business because the funds that might have otherwise been spent, are now being directed towards rebuilding what was already there. While it is simple for most individuals to grasp this concept, it is one that Keynesian economists continue to cling to rather than yielding to the wisdom of classically liberal economists like Hayek and Bastiat.